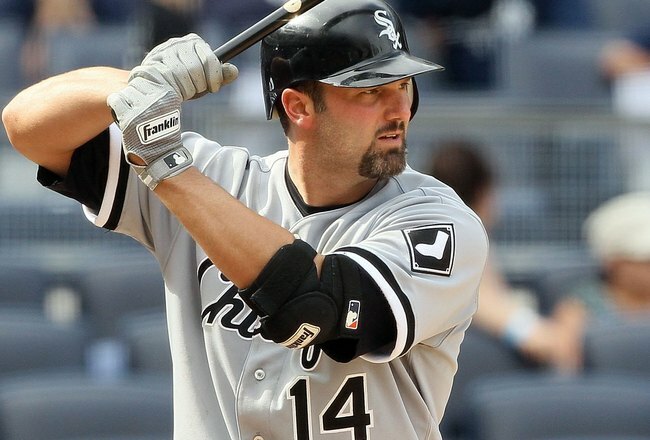 2013 was supposedly going to be Captain Paul Konerko’s last year in Major League baseball. Things looked even more bleak as Konerko has been having one of the worst offensive seasons in his major league career. However, White Sox designated hitter Adam Dunn came out as saying there was 0% chance Konerko would retire after this season. Today Konerko told reporter Bob Nightengale that he wants to sign another contract with the White Sox in 2014 and thinks he can still be productive at the dish. The White Sox would be wise to give Konerko another couple years to play as they currently have no one in the minor leagues who seem like they could overtake even Konerko’s unsatisfying production. Another year or two of Konerko would allow the team to hopefully develop a big bat first baseman thorugh their farm system who could slowly transition the Pale Hose out of the Konerko era.